Geothermal systems allow for savings on energy bills since the natural temperature variations between the surface below and the outdoor air can be efficiently utilized for heating or cooling purposes depending on the season. There currently are tax credits and power company rebates offered for geothermal heat pumps that may be available to homeowners who install a geothermal system. Consult your local tax professional to find out more about the tax incentives available in your area and you can also find out more information at EnergyStar.gov. How Is A Geothermal System Installed? There are generally two types of geothermal heat pump systems that can be installed. The vertical system and the horizontal system, vertical and horizontal refer to how the geothermal pipe loop (the pipe used to circulate water to absorb the warmth or cold from the ground) is installed. In a horizontal system trenches are dug 6-8 feet deep for the pipe loops to be installed in and buried over. With a vertical loop system the pipe loop is installed 100 – 400 feet in depth. The type of system whether vertical or horizontal is determined by a site survey performed by the geothermal installation company. Horizontal or vertical installation will be called for depending on what type of material is present below the surface and how much space is available on the property itself. Once the piping is installed in the ground there usually is no need to have access to the piping. Water is piped from inside the home where the central geothermal unit is located to the pipes outdoors. 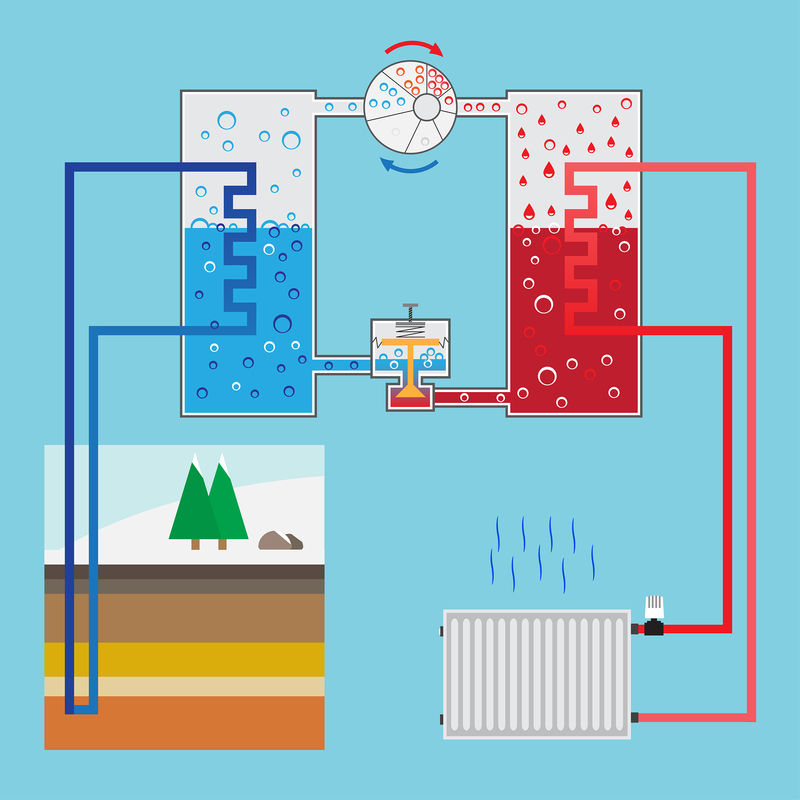 Many geothermal heat pumps use a water solution mixed with anti-freeze in a closed system where there is no need to replace or replenish the water in the loop. Some geothermal heat pumps can also be equipped with a “desuperheater” that can be used to pre-heat water in the water heater resulting in even more energy savings throughout the year. Due to the additional factors required with the installation of geothermal heat pumps (site survey, excavation, drilling, etc.) the costs for installing a geothermal system are higher than what one would pay for with a traditional heating and cooling system (HVAC). Where a traditional HVAC system will run about $2,500.00 to $3000.00 per ton, geothermal installs can cost anywhere from $4,500.00 to $8,500.00 per ton. Ton refers to the heat extraction measurements for air conditioning equipment. The amount of tonnage of needed for a home for HVAC purposes depends on the size of the home as well as the efficiency of the homes windows, insulations, and more. Sometimes a Heat Loss Analysis is performed by HVAC installers in order to determine how much heating/cooling capacity a home truly needs. The tax credit offered on green energy home improvements may help lessen the cost of installing a geothermal heat pump. 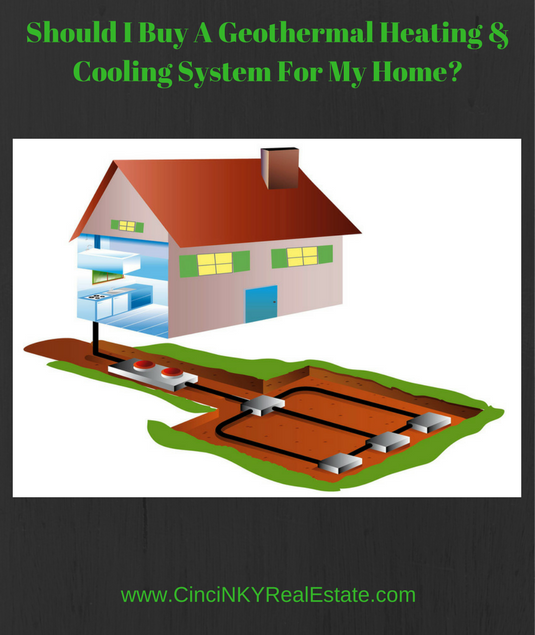 How Much Money Can I Save With A Geothermal System? Due to the efficiencies associated with a geothermal heat pump homeowners can expect to save up to 50% of their electricity costs associated with the heating and cooling of their home on a monthly basis. With the addition of a desuperheater homeowners can expect to save 40-50% of the energy costs associated with heating water for their home. So the energy savings will add up over time. Depending on the final cost of the geothermal system the length of time to recover the investment in the system will vary. 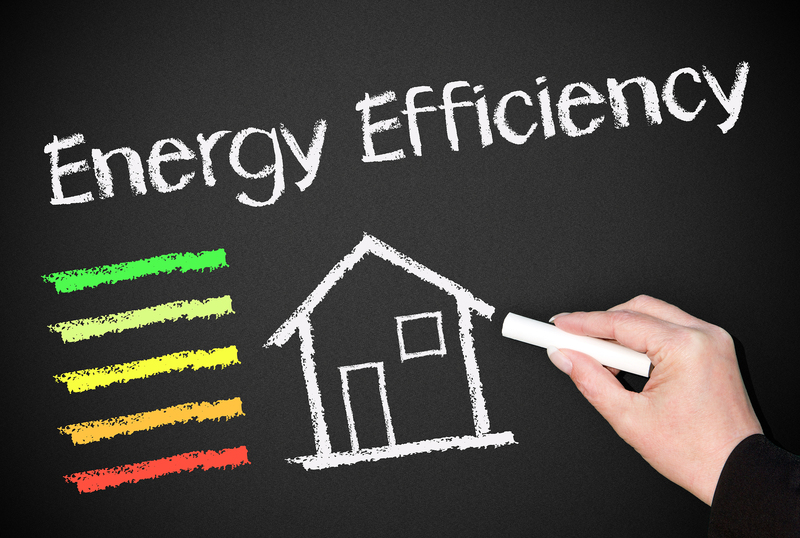 Additionally due to geothermal heat pumps being an environmentally friendly home improvement the installation of such a system can improve the value of your home. A geothermal heat pump while initially more expensive than a traditional HVAC system due to the lower energy usage overtime the extra cost will be recovered through reduced energy bills. While now more common in luxury homes geothermal heat pumps are being installed in a variety of different types of homes. Currently there are tax incentives and power company rebates that further that can help reduce the cost of a geothermal heat pump in a home. About the author: The above article “Should I Buy A Geothermal Heating & Cooling System For My Home?” was provided by Paul Sian. Paul can be reached at paul.sian@cincinkyrealestate.com or by phone at 513-560-8002. With over 10+ years experience, if you’re thinking of selling or buying, I would love to share my marketing knowledge and expertise.